This is a pretty cool film... its well written and well executed. The DVD jacket says its the best exorcist film since "the Exorcist" itself.... big call. Does it live up to those claims? 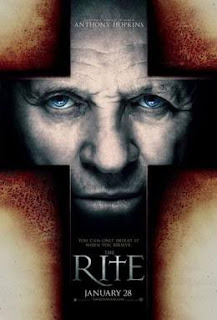 I'd have to say no, but its still a pretty cool little film and does bring another angle on the exorcism theme. The film THE EXORCIST is a very harsh and jarring experience with some quite disturbing scenes, this movie while no cake walk, is a great watch is a little easier going on the senses, and may be an easier watch for those newer to the horror genre. This is more of a thriller than just a standard horror flick but also raises issues of faith and belief when young Michael discovers there's a lot more to what's going on than science can explain. The movie itself has been well researched and the Latin dialogue during the rites of exorcism come across rather genuine.